I don't know how this happened. She was doing so well, we were at the vet last Monday and she got her final antibiotic shot... and the vet said she looked great. I feel like I failed her somehow. She was the sweetest thing, so curious and friendly. She had such a radiant spirit... and I fell in love with her. She was only here about 6 weeks. Her wounds had healed. I was sure we were in the clear. But the day before Thanksgiving, I noticed that she was sleeping on the wheel. 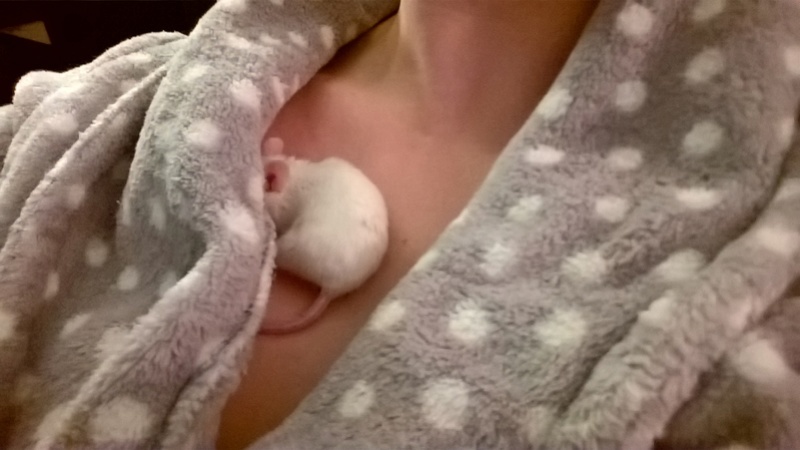 It has been my experience that mice that sleep in unusual places, are most often sick. 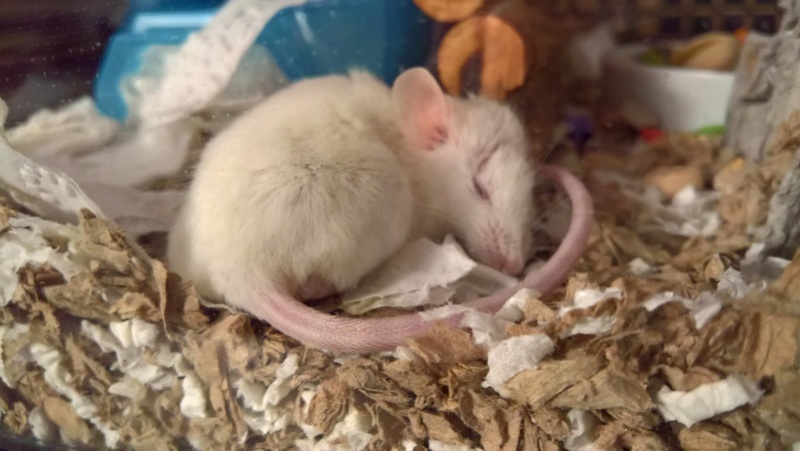 She was getting along well enough with the girls but they weren't really bonded yet, so I separated her and I'm glad I did. I was able to set up a tank to accommodate her needs. She was really weak and sleepy but no other symptoms. I also put a hammock on the floor for her to crawl into which she appreciated. By Friday, she was barely here. I held her for hours on Friday while she slept. She had 3 seizures in my hands... it was clear that she wasn't going to recover from this thing. She died on Saturday. I don't understand what happened. This was so unexpected. I think the most likely possibilities are that she had sepsis, the infection was in her blood, even though it looked healed. Or she could have had organ failure from too many antibiotics. Aw, that's so sad At least she was treated and probably felt a lot better even in her last while of life. Scaredy, too many gone, too soon. 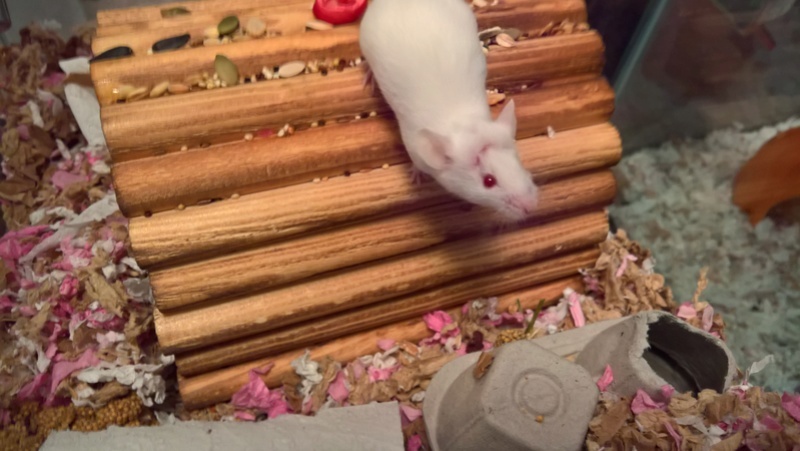 I hated to read your post, knowing how much you'd bonded with this amazing little lady. The loss of Olivia has, I believe, gone straight to all of our hearts: we all followed her journey, sent prayers of encouragement and healing out to her and celebrated her recovery and introduction to her sisters right along with you. Know that she was grateful for everything you did for her in her short time with you and that it was the best time of her short life. Oh no! She was doing so well! Don't blame yourself, Scaredy, you did everything you could, but sometimes it just isn't meant to be. Rest in peace, Olivia. At least she got to spend her last days in a loving, caring, home. Oh no, I'm so sorry. :'( It just hurts so much when they leave so soon. It feels like you barely got to know them. You tried so hard for her- not everyone would have done what you did. I'm so sorry to hear about Olivia. Please don't blame yourself. You did everything you could to help her and gave her a great home, where she knew she was loved. Oh, little Olivia. My heart sank when I saw her name. I'm so sorry for your loss. 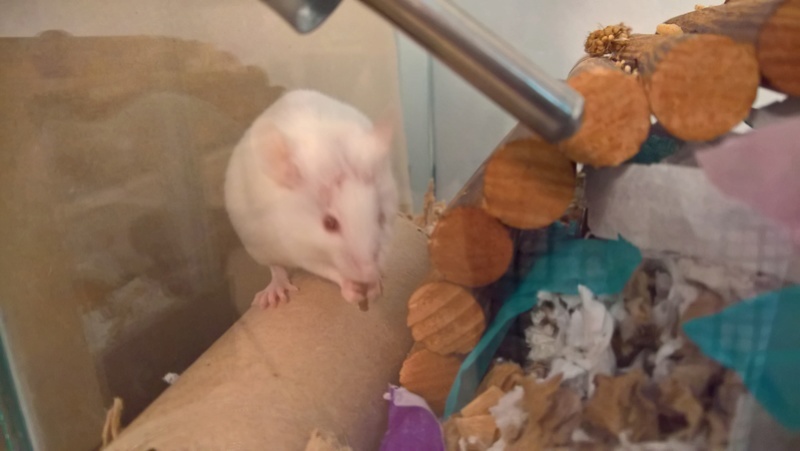 I hope you and her mousey friends are all doing okay. You are not at fault, you didn't cause this, all you did was give her love. I was sad when I saw her name In the list of threads. My condolences.